The NSSPT is a registered charity in Jersey and Northern Ireland. 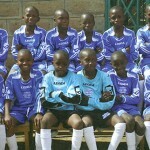 It was established in 1999 by Paul Bell when he visited the Slums on holiday and was appalled by the conditions. 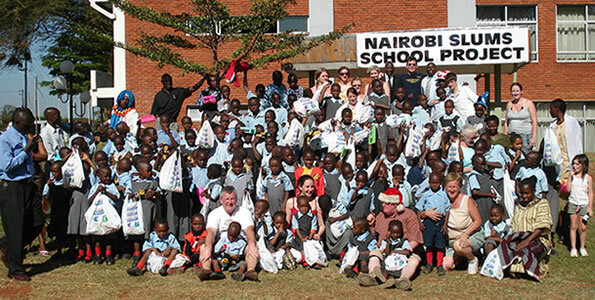 The below video shows footage from a recent visit to the Nairobi and tells a little of the story behind the charity. Paul is originally from Belfast but now lives with his wife, Gillian, and two daugters Gillian in Jersey. Paul initiated the charity in 1999 and returns for a least one month a year to check on the projects. He deals with all the legalities, contracts etc. involved with the schools. Dessie is Paul’s brother, he runs the Belfast arm of the charity, and got involved back in 2003. Last year he raised over £7000 through fund raising nights, running the Belfast Marathon and car boot sales with the help of his wife Heather. Gillian, Paul’s wife, has been involved with the NSSPT from the start. Last year she raised an incredible £29,000 from car boot sales alone, which she organises every Sunday morning at La Pouquelaye school in Jersey. Peter lives in Belfast with his wife and child. He got involved with the charity back in 2003 and as well as acting as Treasurer for the Belfast arm of the charity, he also helps organise fund raising activities.